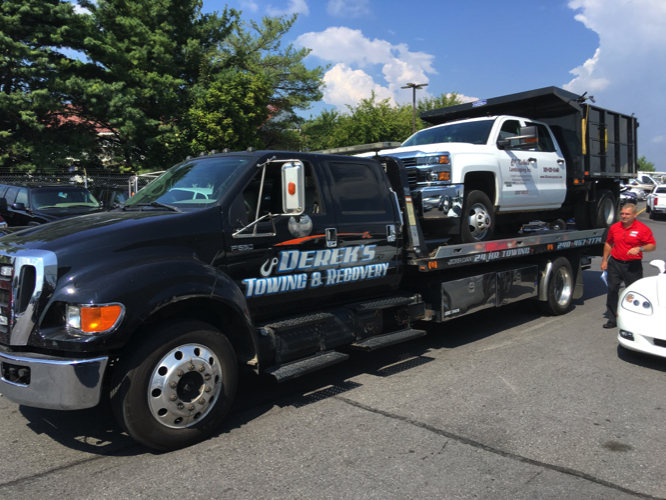 Derek’s Towing & Recovery is your source for trusted expert Light, Medium & Heavy Duty Towing in Frederick MD and surrounding areas. Dealing with a car that just won’t start up due to weather, collision, or electrical issues? With just one call, our towing specialists will be there to take the vehicle back to our shop for repair services. You’ll appreciate our affordable towing services and our guarantee that your vehicle makes it back to our shop safely. For fast towing or roadside assistance services, contact us Derek’s Towing & Recovery. We are proud to be a reliable towing company in Frederick MD. Call now! 240-457-7774. Keep in mind that Derek’s Towing & Recovery also offers Auto Repair and Truck Repair Service to get you back on the road!